There has been much written about the NDAA Act where Section 1021 allows for the indefinite detention of American citizens without lawyers, charges or a trial until you die. This particular Act is close to my heart since I have been told plainly it was my confrontation with the government that inspired it. In my case, the government was clearly lied to by Republic National Bank/HSBC to cover up the fact that their own staff were illegally trading in our accounts for at least 3 years. They told the government we conspired with their own employees to hide those trading losses from the Japanese. That made sense only if we were managing their money. When the government figured out they were lied to, and we were buying portfolios in Japan not soliciting for management, they resorted to create a civil contempt and remove all lawyers to prevent a trial. A courageous government employee has come forward and put in an affidavit that there was no evidence or a crime and the objective was to imprison me indefinitely until I would agree to say whatever the government demanded. (Declaration of Oliver Brown_ -2). HSBC then filed a motion to GAG me and to prevent me from revealing evidence that proved what they did to stop me from helping the Japanese against the New York bankers. HSBC-GagOrder061900 It took me more than 10 years to get that partially overturned only when I submitted transcripts of their employees on phone calls deciding what account to hide their losses in, they had the audacity to argue I could not even show these transcripts to a court! They were hiding losses in accounts where there was never supposed to be any trading. (09-1260 Sealed exhbiits). They would never go to trial and were simply indefinitely imprisoning me until I would say whatever they demanded. 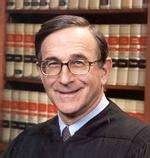 The Second Circuit decision was done by George Bush’s cousin – Judge John Walker, Jr. wrote the opinion in which even now Supreme Court Justice Sonya Sotomayor disagreed writing: “Judge Walker’s opinion suggests that there is no discernible outer bound on a court’s inherent power to detain a contemnor indefinitely.” Armstrong v Guccione, 470 F3 89 (2006). They would NEVER produce an order even stating what I was in contempt for. I stood up in court within two weeks and asked for an order of what I was being told what to produce. Of course no American newspaper will ever report what the government really does. For this is all in the public record. ARMSTRONG: Your honor, the large problem that exists here is that no specific list has been provided by the receiver as to what is actually he is looking for. … So there is no way for me to purge myself of this contempt of court until I have a specific and realistic list as to what it is that is actually being sought, your Honor. RECEIVER ALAN COHEN: I suggest that we can give Mr. Armstrong pictures of all the coins that we have collected so far on that list and he can tell us where the rest of them are. COURT: I thought you did that? Why would Cohen never produce an order? Because behind closed doors they could demand things they did not want to admit publicly. Here is an email confirming they wanted me to turn over the SOURCE code to our model or they would shut down Princeton Economics (Hecht Emails). I appealed the contempt to the Supreme Court and Judge Walker’s insane opinion that judges could do as they liked and the Constitution did not apply. The Supreme Court ordered the government to reply. When they do that, chances are your case will be heard. The government sought two postponements. They appear to have come to a decision that if they press ahead and lost, they would not be able to imprison people arbitrarily anymore. For you see, once Republic National Bank/HSBC were forced to plead guilty and return what they stole with nobody going to jail of course, part of the deal was that they had to make everyone whole. So how could you now pretend to keep me in contempt to turn over assets for something I obviously could not owe? This is where they came up with the novel idea that they did not even have to charge you any more. 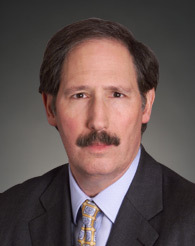 Alan Cohen, now a board member of Goldman Sachs, stood before the court and stated publicly that I should still remain in prison even though there were no charges any more. Since it was Republic that issued the “false” NAV letters to Princeton, then prior to that to keep me in prison that legally meant Prudential Securities should have been charged, but were not. For there were no losses prior to Republic and thus there was never any “description” of a crime now to retain me. So when the Supreme Court ordered the government to explain what the hell was going on, they realized they would lose. You have to at least charge someone. Now, there was not even a charge. Therefore, I was released to prevent the Supreme Court from ruling against them. What did they do then? They used the terrorist nonsense as the excuse to now indefinitely imprison anyone at any time without even charging them, lawyers, or a right to trial. The rumor is they used Lindsey Graham threatening him because he is gay and if he did not strip Americans of all rights, he would be exposed. Now a journalist Chris Hedges and several others sued the Obama Administration on the grounds of it being unconstitutional to indefinitely hold citizens as they did to me without charges, lawyers, or a right to a trial. Judge Katherine Forrest agreed it was unconstitutional and issued an injunction to prevent the government from doing so. This was immediately appealed by the Obama Administration for they are really indistinguishable from George Bush when it comes to expanding government power and destroying the Constitution. The Obama Administration appealed to the higher court – where? Second Circuit Court of Appeals of New York. That court, naturally with the speed of a bullet, instantaneously issued a temporary stay on the injunction allowing the government to indefinitely detain anyone it desires. The notorious Second Circuit, perhaps the most anti-constitution court in the USA, will make the decision. The way this goes, if they side with the government, you can appeal to the Supreme Court but they take only perhaps 100 out of 10 thousand petitions. If the government lost, whenever they appeal, they are normally granted the right to be heard by the Supreme Court. So if the Second Circuit sides with government, the burden is then on the citizen to show why this case should be heard. In truth, the ONLY court authorized by the Constitution is the Supreme Court. All others are created by Congress and could be also shut down. The Supreme Court is the ONLY one constitutionally required so it is a joke that they have the pleasure to pick and choose what they WANT to hear. That means there is no tripartite government because the Constitution can never be enforced unless you are really very lucky. This is why there is no rule of law. Nothing is ever guaranteed and you have no absolute right to be heard. I was released ONLY because they feared if they lost in the Supreme Court, they could never do this again to anyone else. Now they can and you have no rights at all. This is always about eliminating the Constitution. The whole system is just a joke.